Elvis Live Productions, LLC, based in Atlantic City, NJ area, presents "Gentleman Jim" to the U.S.A. and beyond. 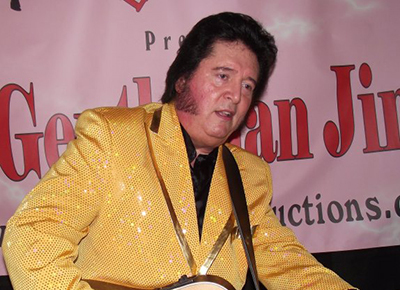 In addition to his "Tribute To The King" show, where he performs the songs of Elvis Presley he also performs his "Rock n' Roll Roots" show singing the songs of the early pioneers of Rock and Roll such as, Johnny Cash, Roy Orbison, Jerry Lee Lewis, Ricky Nelson, Bill Haley, Richie Valens, The Big Bopper, Conway Twitty and many, many more. 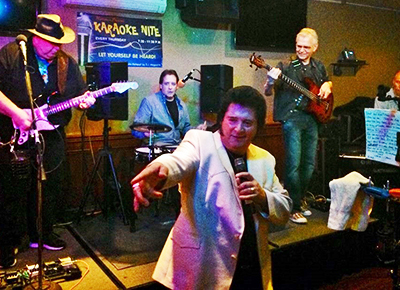 For more information or to book "Gentleman Jim" for your next event please click on the CONTACT tab above or call: 609-445-0136.